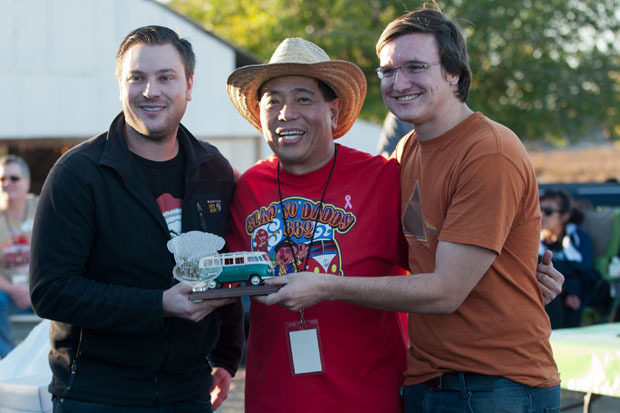 Congrats to Steve Botkin of Desperado for GC and Taylor Jonason of RoosterQue for RC. 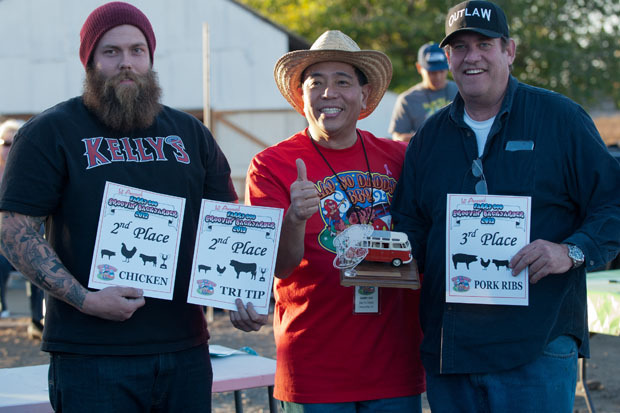 Congrats to Noah Rosenstein of IL Prosciuito Violentofor 1st place tri tip, Taylor Jonason of RoosterQue for 1st place chicken with 180 points, and Vincent Soriano of Big Vinny BBQ for 1st place ribs. 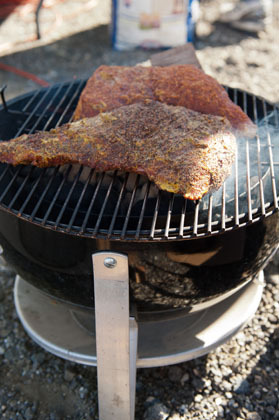 In my prior Groovin BBQ Backyarder blog, I invited everyone to attend. I used that blog to highlight common complaints I’ve heard about competition barbecue over the years. 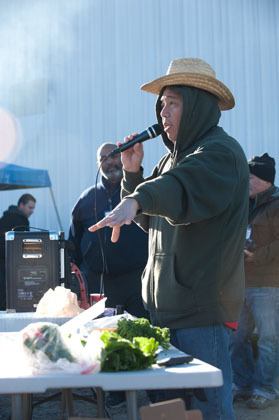 At the 1st Annual Harry Soo Groovin BBQ Backyard Cookoff, my goal was to address the top gripes and here’s how I dealt with them. 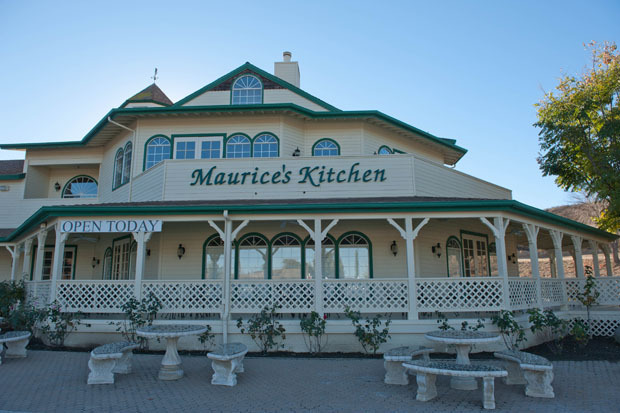 I’d like to personally convey a massive THANK YOU to the teams, judges, helpers, mentors, volunteers, Maurice Winery, Michelle’s Place, and organizing committee of the Goovin Backyarder. I’m humbled by all the positive feedback from everyone. The overwhelming word I hear is “When can we do this again?” Once we dig out from this event and enjoy the Holidays, our organizing committee will discuss what’s next. 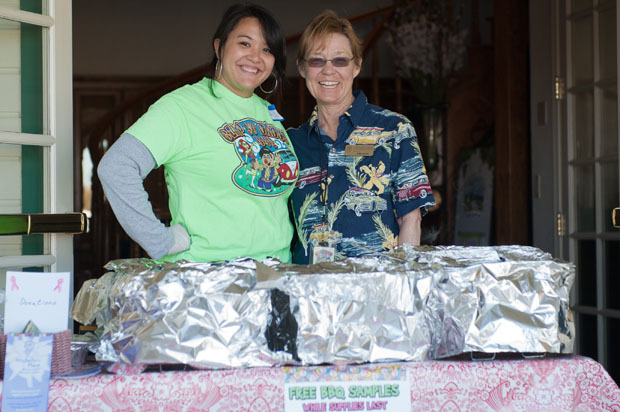 I think my alumni said it best as to what they thought about what this event meant to them in their life journey of finding happiness through barbecue last Saturday. Photographers Bob and Brenda Magee of http://www.brendamagee.com/ have taken some amazing pictures of the event and you can view the 300+ photos here. A extra thank you goes to Brenda and Bob for allowing me to use their pictures for this blog. Full results are on the contest page. Thanks again and Happy Holidays on behalf of the organizing committee and myself. Harry, what the Groovin Backyarder did for me as a new judge was to help me gain confidence in my taste buds by being able to hear the other judges at my table giving their feedback to the contestants, comparing them to my thoughts/tastes, and then listening to the cooks as they would take those comments and explain what they did or did not do that might have brought about those comments. As a completely new low ‘n slow cook, I followed two of the mentors (Dale & Neil) as they did their rounds and tried to absorb as much wisdom and tips as I could. I also learned valuable lessons from Donna on being an ATD type of person and Ben for seeing how smoothly such an event could be run. 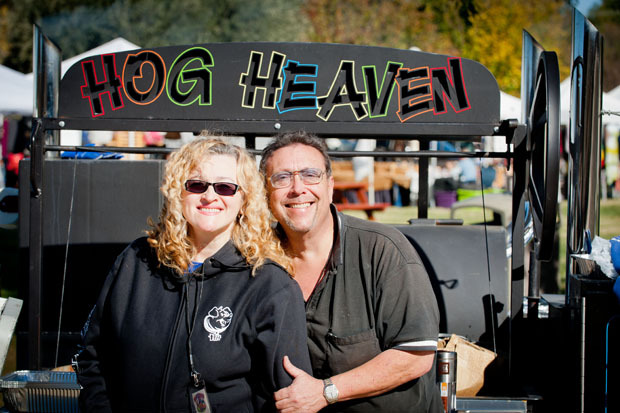 What a fun time at the 1st Annual Groovin BBQ Backyard Cookoff! Harry, Donna and Ben you all put on a fantastic event! 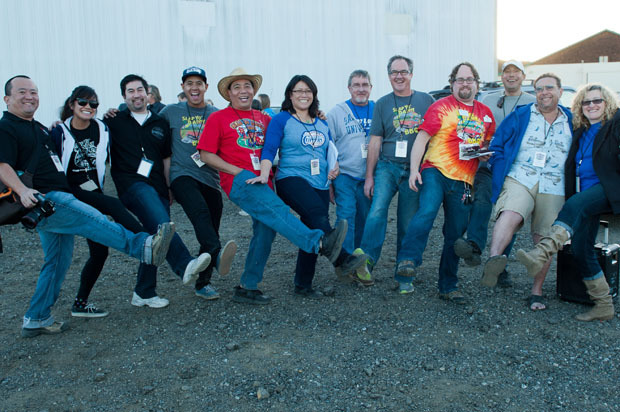 As a judge I really liked interacting directly with the teams – more fun than a standard KCBS event. YES – do another when you can and if you need help let me know! Gary Tackett here from West’s Best BBQ Team. It was great serving as a roving mentor and judge at table “C”. 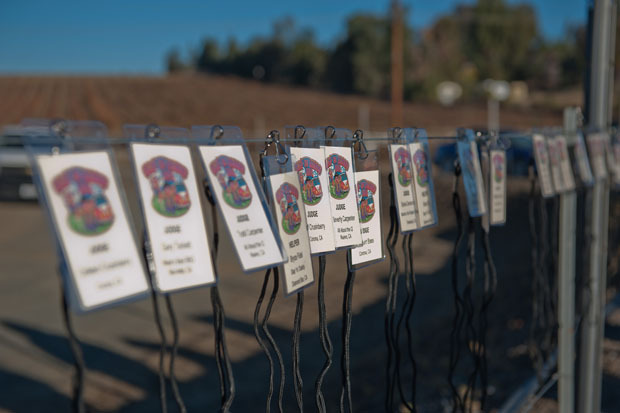 You and your committee did a great job of organizing and executing this event. The feedback we gave back to each team was thorough and in-depth. I wish such feedback was available when I first started cooking in contests in 1995. It took me literally years to gain similar feedback that these teams got in one day !! I hope they will benefit from this valuable experience as they progress in the art of “Q”. You can count me in on future events !! Harry, it is always a pleasure to help our BBQ family in any way we can. Personally, I received 2 forms of education out of this comp. First, as a CBJ with only 10 comps under my belt it was a great opportunity to to listen to the feedback other more seasoned and/or MCBJ’s. This in itself will make me a better judge by realizing areas I may or may not concentrate enough/too much on. 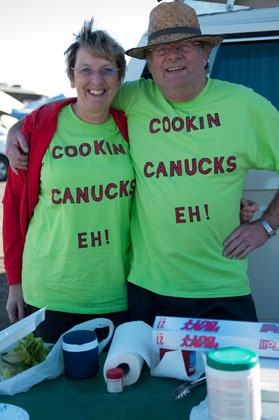 As you know, Bev and I begin our Rookie year as cooks in 2104. As a cook, hearing that same feedback from the other judges gave me an insight to what THEY are looking for. Yes, I am a judge, but cannot judge my own product, as it is all 9’s in my eyes 🙂 Not only was this competition an invaluable experience for cook’s and judges alike, it was an opportunity to see old friends, make new ones, and give back to the community. From the bottom of my heart, thank you to EVERYONE who was involved with this. We were ALL winners. Harry, my family and I think The First Annual Groovin Backyarder was a HUGE success. 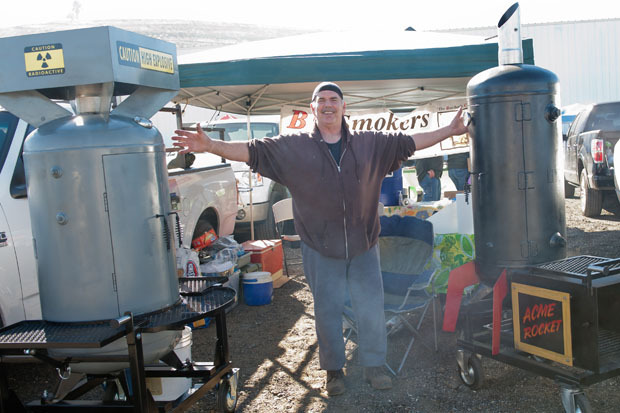 The chilly predawn hours greeted our arrival, but quickly transformed into a warm, friendly, and fun day as the pits were fired, and friendships were formed. The backyarder was a competition for sure, but for those of who participated, it was learning experience more than anything else. It was a chance to explore this passion of ours in a challenging but safe and supportive environment. It provide the teams with an opportunity to learn from the comments made by the judges, from friendly suggestions made by the mentors, and to learn mostly from each other. I was fortunate to be near a couple really good, friendly teams who helped us a great deal. Had I spent the day doing nothing more than watching those teams cook, I would be better today because of it. Putting into practice what I learned by participating in the The First Annual Groovin Backyarder will help me be a better backyard cook, and will help guide the direction my passion for BBQ will follow. Many thanks and much love to you, Donna and your family! Harry, Donna, Ben and Ira, congratulations on a great event, we need more of them! The feedback Chris and I heard from the teams was all very positive, and watching the judges work through this process demonstrated that it was just as beneficial to them. 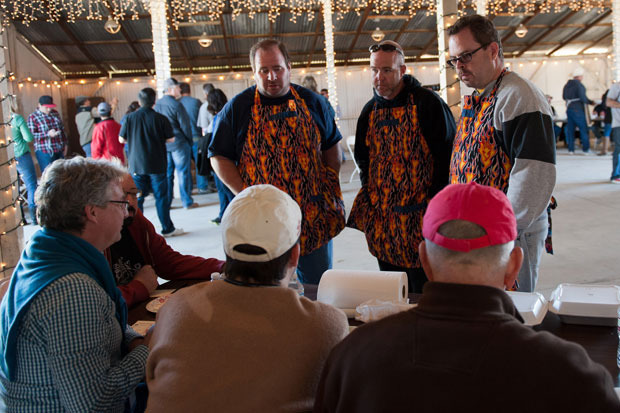 I believe we observed judges not only becoming better judges, but learning what the teams really go through in a contest; why some entries are better than others from a cooks perspective; and, oh yeah, teams are real people too – not just styrofoam boxes containing the world’s best BBQ. 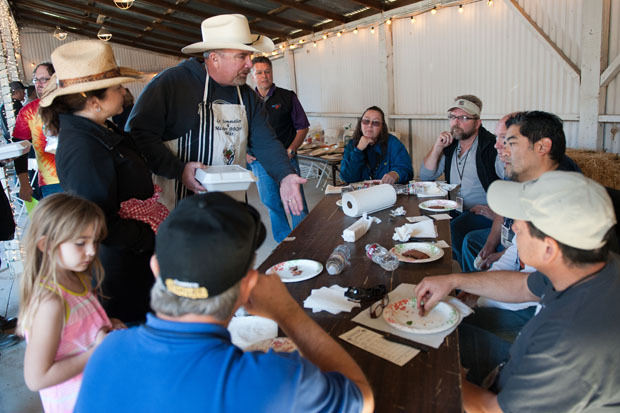 Cooking with a team is certainly an excellent introduction to the teams and process, but your venue provided a much broader experience for judges. This would be a GREAT KCBS continuing education tool for CBJs. Looking forward to your next one! Hey Harry, thanks again for everything you did to make this event happen. The event to me was a great learning experience which I know a lot of people would say. The biggest thing that I liked was being able to cook a competition and get instant feedback which I think helps a lot. I would rather know what I did wrong to make it better next time instead of not knowing and doing something wrong again and again. The judges assessments were spot on. It was really cool having mentors because I learned a bunch of tips that I guess aren’t talked about much. Neil helped me on a couple things and its the little tricks that make a difference I think. Couple things I would change would be the over night camping situation. It was pretty tricky getting their at 5:30 to set up and have to set up in the dark and prep meat. It may get better with more experience but I felt rushed a little. Not a deal breaker by any means. I think this event is a great stepping stone to 4 meat comps. I know a lot of these comps are expensive to do and that prohibits teams entrance. This comp gives you an idea what to expect if you are on the fence about competing more. Thanks again, everyone involved was amazing. I would do it again in a heartbeat. Kevin and I are going to try to do the Santa Anita comp this year which will be a challenge since practicing butts and brisket are very time consuming. Harry, your intention to impact the lives of others continues and the impact you have to inspire us all is amazing. I’m very glad to have taken your class, have you as a mentor, and gratified I was a part of your first competition. I think you make a fantastic ambassador for this “sport”, and you and the team did a great job Saturday. I’m sure there were unexpected hiccups and high stress but from our vantage point things went very smoothly and we were all very happy. 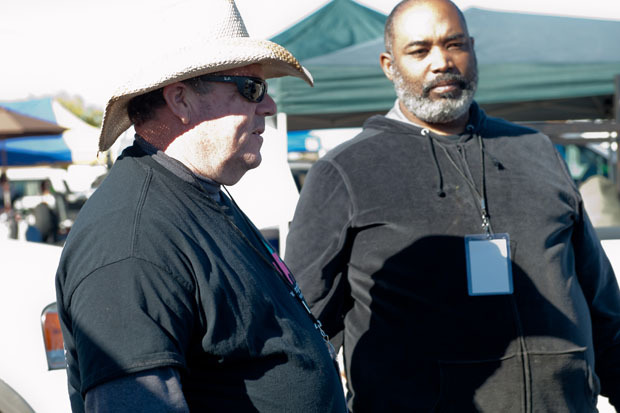 Harry, the best thing for me was I had several on my old friends from High School whom I have not seen in years come out just to visit and see what a BBQ Comp was all about. We had such a good time. I guess in the end it’s all about the friendship’s we make in life. Old ones and the new one’s that I made that day. Thanks. 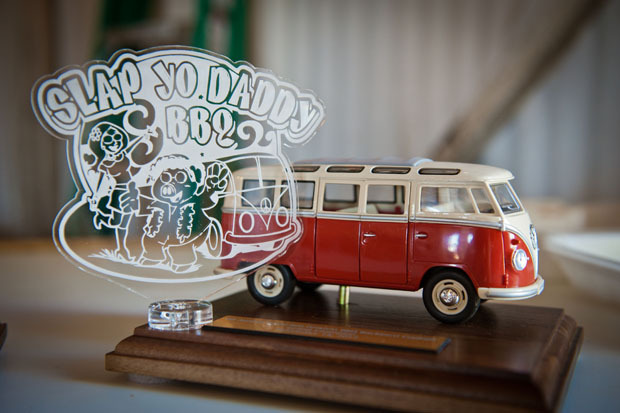 Harry, the Groovin Backyarder was a great intro to competition BBQ. Everyone involved: The organizers, mentors, and judges, we’re helpful, and encouraging beyond expectations. Going forward I can see this type of event serving as a minor league, or farm system to get BBQers ready for the next level. I’ve cooked a lot of BBQ, but wasn’t sure what it took to compete. The backyarder helped me understand what goes in to a competition. Also, I met a lot of the other competitors, and it looks like we’ll be a great support group for each other. The Groovin Backyarder fostered this camaraderie. This was my first competition, but because of my experience there, it won’t be the last. Harry, Donna, Ira & Ben, thank you very, very much for allowing me to be a part of this inaugural event. I feel honored to be accepted as a volunteer on Saturday. It’s a great feeling when you know that you’re assisting a great cause like Michele’s Place and helping these new pitmasters grow as competitors. I had a great time meeting all the teams and giving them live feedback while judging. This experience will undoubtedly help me improve as a competitor as well! The officials from Imperial were blown away by the wealth of information they received. 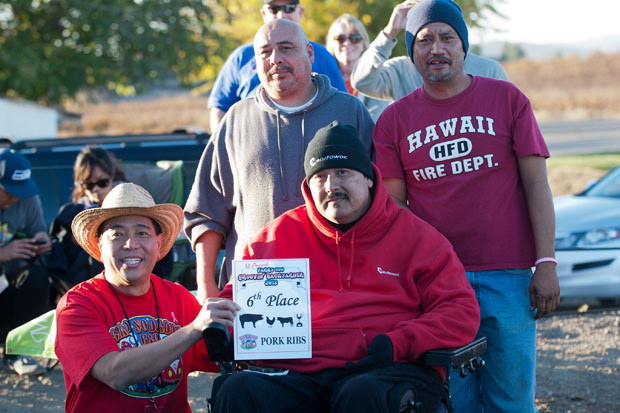 Their City Planner (Jorge Galvan) is now on a mission to bring a fully sanctioned KCBS contest to Imperial, CA in 2015 or 2016. Again, thank you very much and I hope to see you all on the competition trail this coming year. What an awesome event Harry! I learned a TON just by walking around, talking to the Mentors, Judges, and Competitors. There were smiles everywhere, with everyone having a great attitude about the event. Low-pressure, yet I certainly "got" the idea of how real competitions are run. Thank you so much for sponsoring this, I can’t wait until the next one!!! Thanks so much for coming! Awesome pictures of the event! Thank you!